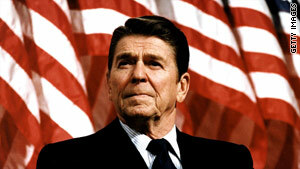 President Ronald Reagan was an actor and wasn't elected to public office until he was 55. (Mental Floss) -- Sadly, the down economy has put a lot of workers over age 50 in the unenviable position of needing to find a new profession. Don't believe that old cliché about middle-aged dogs and new tricks, though; lots of wildly successful people found big success in careers they began after their fiftieth birthdays. Harland Sanders was no slouch as a young man, but he didn't become the string-tied chicken mogul we know and love until he was 65. "The Colonel" had a relatively successful restaurant and motel on U.S. 25 in Corbin, Kentucky, but when Interstate 75 opened seven miles from Sanders' restaurant, his business begin to dwindle. Rather than go broke, he began to work on perfecting his spice blend and quick-cooking technique for making fried chicken in 1952. He then began touring the country selling Kentucky Fried Chicken franchises, and by the time he sold the business for $2 million in 1964, there were over 900 of them. You may not recognize Cover's name, but you've surely heard of his invention, the Taser. Cover spent most of his career as a nuclear physicist who worked in aerospace and defense, including playing a significant role in supplying parts for NASA's Apollo project. In 1970 the 50-year-old Cover started Taser, Inc. in an effort to find a weapon that could incapacitate assailants without killing them. He received a patent for his design in 1974, and by 1980 Cover had sold the Los Angeles Police Department on using his new gadget to help apprehend violent suspects. When Cover passed away last year at the age of 88, his device was in use in over 45 countries around the world. Whether or not you know it, you probably owe Hoyle a tip of the cap each time you reach for a deck of cards. The Englishman is considered to be the world's first technical writer on the rules of card games, and he didn't put pen to paper as a young card sharp. Hoyle was around 70 years old when he first began recording the rules of various card games in 1741; over the last 27 years of his life, his smash hit "A Short Treatise on the Game of Whist" went through over a dozen editions. Wilder's "Little House on the Prairie" may be some of the world's most beloved children's books, but she was no spring chicken when she sat down to write them. Wilder didn't publish her first novel until she was 65 years old, but she still managed to crank out one of the most beloved series of all time. You don't have to start early to become the richest man in the world. Mori was an economics professor until he left academia at age 55 to become a real estate investor in 1959. Mori had recently inherited a couple of buildings from his father, and he jumped headfirst into Tokyo's real estate scene. Mori started his second career by investing in the Minato ward where he spent his childhood, and within a matter of years he was presiding over Japan's real estate boom. When Mori died in 1993, he was Forbes' two-time reigning world's richest man with a net worth of around $13 billion. He was something of a Japanese precursor to Warren Buffett, though. Mori never seemed totally comfortable with the fame and fortune his second career won him. He dressed traditionally, abstained from alcohol, and lived a fairly modest life. Anna Mary Robertson Moses is one of the biggest names in American folk art, and she didn't even pick up a brush until she was well into her eighth decade. Grandma Moses was originally a big fan of embroidery, but once her arthritis grew too painful for her to hold a needle, she decided to give painting a try in the mid-1930s. She was 76 when she cranked out her first canvas, and she lived another 25 years as a painter -- long enough to see the canvases she had sold for $3 fetch prices north of $10,000. The founder of the Hare Krishna movement was 69 years old before he started the International Society for Krishna Consciousness. In his native India, Prabhupada had been a chemist and a Sanskrit scholar in Calcutta, but in 1965 he came to New York City with just fifty bucks, a pair of cymbals, and a desire to spread the teachings of Lord Krishna. Prabhupada got off to a modest start by sitting on a sidewalk in the East Village and chanting, but by the time of his death in 1977 his legions of followers were rumored to be thousands strong. The husband-and-wife team behind the popular dining surveys of the same name were corporate lawyers when they first started printing their restaurant guides. Eventually the guides became so popular that Tim left his job as corporate counsel for Gulf & Western to manage the business in 1986 when he was 51 years old. Nina eventually left the corporate law world to work on the dining surveys as well. Sure, Reagan had been no slouch as an actor, but he wasn't elected to his first public office until he was 55 years old. In 1966 Reagan won California's gubernatorial race by over a million votes. Prior to his election, Reagan had done some politicking as the president of the Screen Actors Guild and as spokesman for General Electric, but nothing on his resume made him look like a sure-fire two-term president. Entire contents of this article copyright, Mental Floss LLC. All rights reserved.